Isagenix Energy & Performance Premium Pack £ £358.00In stock! Order now! Would you like the energy to tackle each day and the toughest of workouts? Do you want to take your performance to the next level? 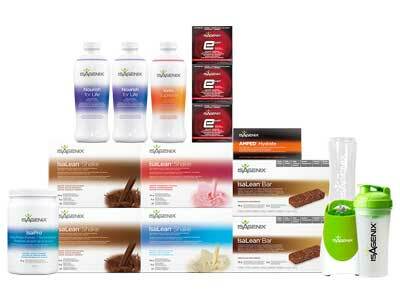 Then, you want the Isagenix Energy & Performance Premium Pack! Designed for those in search of premium balanced nutrition, improved athletic performance, and more energy in their daily lives, this comprehensive Isagenic pack includes the 30 Day Energy & Performance System as well as additional Isagenix products. It includes everything you need to support your health, wellness, performance, and lifestyle goals. Are you an athlete in need of energy and the ability to perform at a high level? Do you simply want to achieve the best body you’ve ever had? If so, this is the pack for you. Designed to fuel serious athletes and weekend gym junkies alike, the Energy & Performance Premium Pack will power you through to the finish line in record time. Whether you’re an endurance athlete, sprinter, bodybuilder, football player, you name it; this is the pack you need to smash the competition and achieve the very best results. Each day, more and more people are taking advantage of Isagenix performance systems and experiencing record best results. As one of the most popular packs in the range, the new Energy & Performance Premium Pack features an expansive arrangement of the brand’s best energy and performance products. Dr.Michael Colgan and some of the world’s top nutritionists and scientists have carefully developed each of the pack’s performance products to provide both athletes and ordinary active individuals with the very best opportunity to experience the highest level of performance. Including the revolutionary AMPED range of performance-boosting products and a variety of other cutting-edge Isagenix nutritional solutions, it has everything you need to build lean muscle, improve your performance and achieve better health. Whether you’re looking to beat your personal bests and outperform the competition or simply want to improve your physique and benefit from a sustainable healthy lifestyle, the Isagenix Energy & Performance Premium Pack is for you. Whether you’re looking to outperform the competition or sustain a healthy lifestyle and feel your best, the Isagenix Energy & Performance Premium Pack will deliver day in and day out. Rather than providing a single” magic bullet” or provide a hodgepodge of products, this comprehensive pack contains a system of performance enhancing solutions, which when combined will help you reach your fitness and athletic goals. Best of all, each product is convenient and easy to take. Simply unwrap a wrapper or two, pop open an e-shot, and mix up a shake and some sports drink powder a couple of times each day and your body will stay primed to perform at its very best. Plus, you get to select the flavours and packaging. Can staying fit get any easier? You don’t have to be a professional athlete to enjoy the many benefits of the Energy & Performance Premium Pack. As one of the world’s fastest growing nutritional supplement and direct sales companies, Isagenix has transformed the health of countless people all over the world. Loaded with a bevy of Isagenix’s powerful energy and performance products, the Energy & Performance Premium Pack is ideal for sharing with friends, family, and helping others achieve their own Isagenix success stories. How Much is the Energy Premium Pack? Preferred Customer on Autoship =£358.00 with FREE signup. Sign up to the Autoship programme to have access to the cheapest wholesale prices year round and get your Isagenix programme delivered straight to your door every month. Autoship can be cancelled at any time, even after you take advantage of the cheaper prices on your first order! There are no locked in contracts of any sort. Preferred Customer = £378.00 sign up fee. You can still get access to cheaper than retail prices, however this option will cost more than signing up to the autoship programme. Customer =£454.00. No annual fee and you’ll save 10% off full retail prices. By being on autoship you’ll save an additional 5% on any pack or system. Full Retail =£504.00. If you prefer not to sign up for autoship or pay an annual fee, you can purchase the products at full retail price. Read Isagenix Energy & Performance Premium Pack reviews from real Isagenix UK customers!